Its code name was Max. 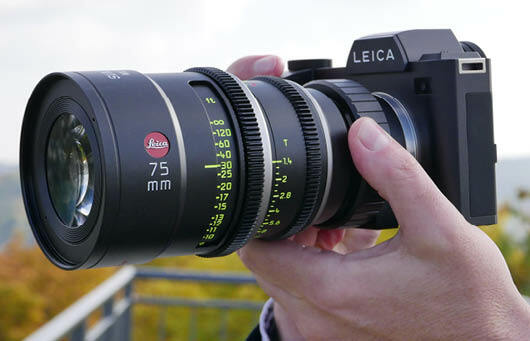 However, other Maxes lurk in Leica’s history. Max Berek developed the lens for the first Leica Model A (Leica I) camera. It was a 50mm f/3.5 fixed lens, named Elmax, apparently from the letters E (Ernst) L ( Leitz) and Max (Berek). The real name is SL for “Spiegellos” (Mirrorless). Many of Leica’s other camera names come from how they handle viewing: R for “Reflex” and M for “Messucher” (Rangefinder). 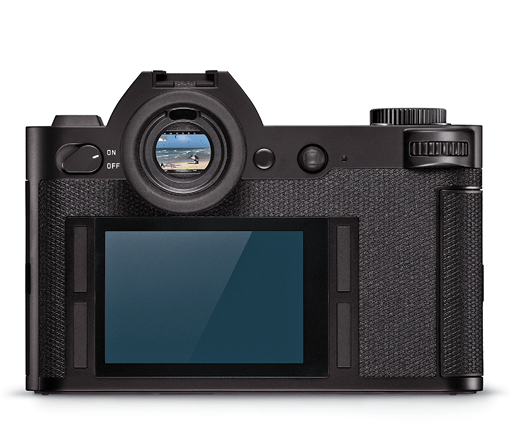 An optional PL to Leica L mount adapter is available from Leica. 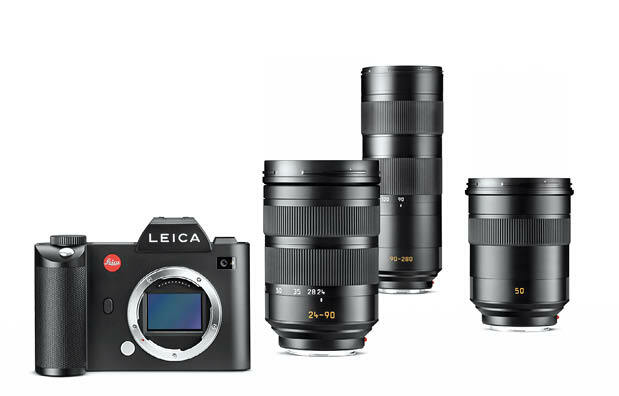 You can shoot 4K 4096×2160 video at 24 fps in APS-C/Super35 format, and HD up to 120 fps in Leica format. MOV or MP4 4:2:2 8-bit files are recorded onto an internal SD card. External 10-bit recording is provided via an HDMI 1.4 connector. The 4.4 million dot Electronic Viewfinder is extremely large and incredibly sharp. There is no latency (image lag). This may be the first digital camera that rivals (or perhaps exceeds) an SLR mirror for critical focus. A joystick lets you move and select the auto-focus area. Left to right: Leica SL Vario-Elmarit 24-90 f/2.8-4; 90-280 mm f/2.8-4 and Summilux SL 50 mm f/1.4. The SL camera’s L-mount (same as the APS-C format Leica T) has a flange depth of 20 mm. 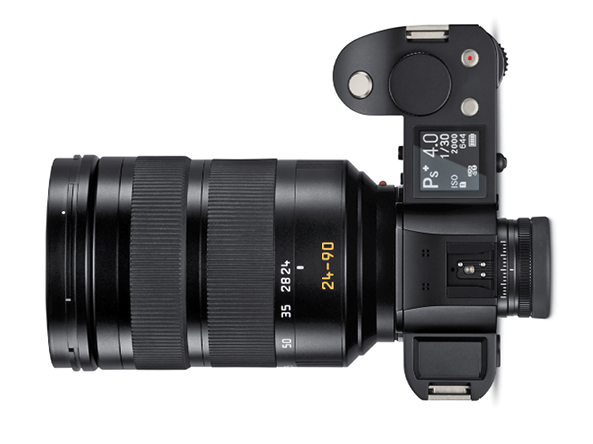 Leica makes adapters that accept all 48 current Leica M, most vintage M lenses, 6 Leica T lenses, 51 Leica R lenses, 21 Leica Cine PL, and most PL lenses. 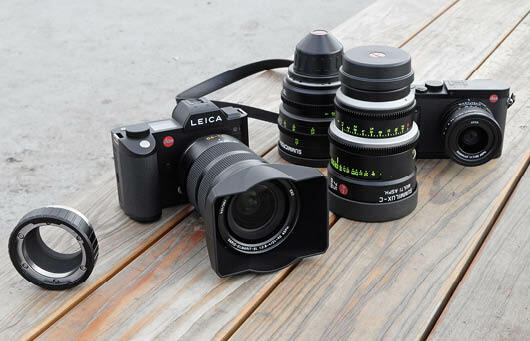 Left to right: PL to Leica L Mount Adapter; Leica SL with Leica 24-90 lens; Summicron-C prime lens; Summilux-C prime lens, Leica Q (which has a similar sensor and a fixed 28mm lens). A button on top switches preview between still and video modes. Maximum ISO is 50,000. Minimum macro object distance of the SL 24-90 f/2.8-4 zoom is about 12 inches. Autofocus is very quick: the lens goes from infinity to close-up in milliseconds. 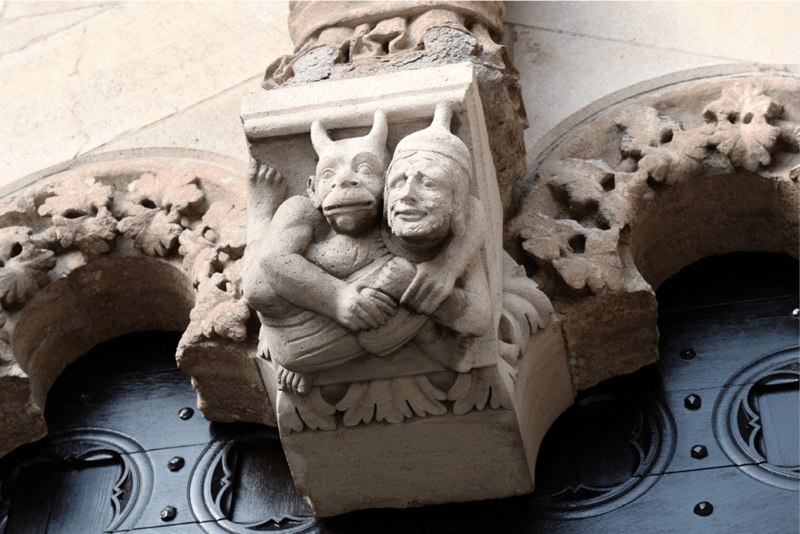 Above: Framegrab with Leica SL and 75 mm Summicron-C lens with PL adapter. 4K Video (4096×2160 MP4 at 94 Mbit/s, H.264. Above: Leica SL 6000×4000 (24 MP) still with 24-90 mm Leica Vario Elmarit at 90 mm, close-focus Macro, 1/100 sec, f/6.3 at 200 ISO.